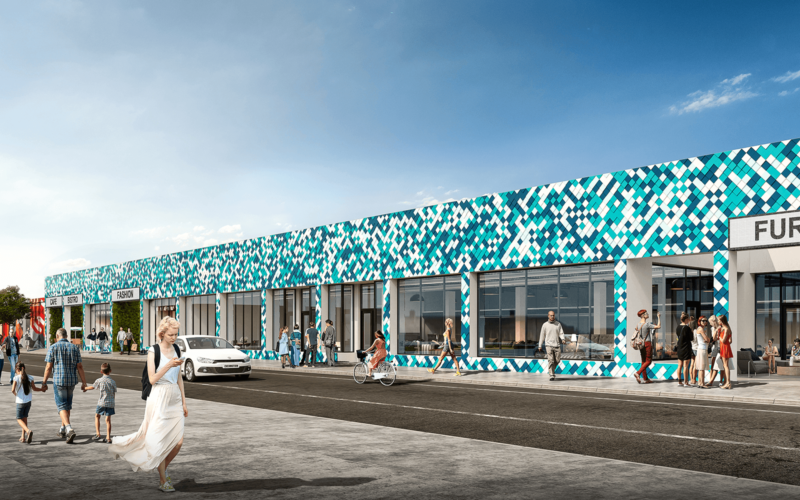 Located at the intersection of NW 3rd Avenue and NW 25th Street – the epicenter of Wynwood – this 27,000 square foot building is being adaptively re-positioned into a mix of retail and office uses. The property is adjacent to East End’s 289-unit Wynwood 25 apartment project that delivers in 2019, and one block from the Wynwood Garage, a 428-space public parking garage that is debuting in 2018. Prominent retailers Zak the Baker, KYU, Warby Parker and Marine Layer are on the same block. With the scheduled conversion of NW 3rd Avenue into Miami’s first woonerf, the termination of 3rd Avenue directly into this property will make it exceptionally visible in short order. The site also has up to eight stories and approximately 169,000 square feet of development potential.